The Solglo professional spray tan kit is the perfect starting point for anyone starting a career in the tanning industry, existing beauty salons looking to add tanning treatments or a college student. 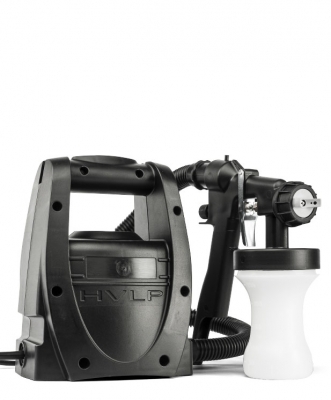 The much loved and in demand HVLP TS20 Sprayer! Finest optimization for a perfect coverage on the skin and low overspray, removable 0.6mm stainless steel needle, metal nozzle and metal gun trigger. Optimized for salon/mobile use Reliable 400W motor turbine with easily removable, high grade filter, and flex hose. Simple & Compact Easy to control gun with fine flow trigger control and 250ml non-topple gun. The TS20 unit is ideal for salon or mobile use and for technicians who are wanting a machine that will keep up with doing numerous tans in one session. UK manufactured. Comes complete with easy to follow user manual. 12 month warrenty. 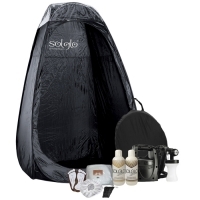 Solglo® gives a beautiful natural tan - is nut free, streak free and lasts even longer than before. Enriched with both Vitamin E and Aloe Vera, with their reparative and restorative elements, the improved formula will leave your complexion feeling soft and supple and is right for every skin type. 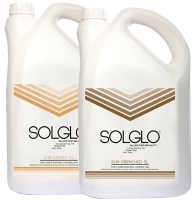 As new Solglo® lasts longer, top ups are needed less often and your client's skin will have a luxe golden glow that just keeps on giving. Animal cruilty free and vegan friendly.